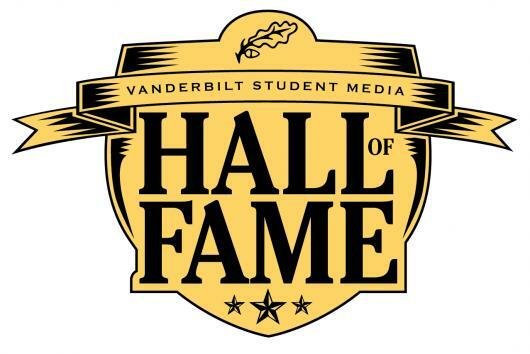 A judge who blazed new trails for women while fighting for civil rights, three journalists whose careers have been shaped by passion and innovation, and an Emmy-winning writer for a leading news-satire show are the newest members of the Vanderbilt Student Media Hall of Fame. Selected for the 2017 class are John Haile, Zhubin Parang, Walter Brown Potter Jr., Caryl Privett and Elaine Shannon. A ceremony to honor the new inductees—the eighth class of the Student Media Hall of Fame—is planned for Oct. 6 from 3 to 4:30 p.m. at the John Seigenthaler Center. To be selected, Vanderbilt alumni must have demonstrated leadership in student media and then distinguished themselves in their careers. Haile, BA’67, grew up in Cleveland, Tennessee. As a freshman he joined WRVU, where his hometown friend Warren Corbett was business manager and a mentor. The radio station was on a couple of floors of Neely Auditorium’s south tower. Haile served as station manager his junior and senior years. “I learned to surround myself with people passionate about their jobs and trust them to do their work,” said Haile, who also served on the VSC board. “We changed the format—bringing in Top 40 programming and doing remote broadcasts to bring more attention to the station.” In 1966, Haile, who had worked for his local newspaper in high school, also became campus correspondent for The Tennessean. Not long after completing a journalism fellowship at Stanford University, Haile moved to the Orlando Sentinel, where he became editor in 1985. Haile was among the first to recognize that changing the culture of the newsroom was key to adapting traditional print to new media. As a new media pioneer, he built one of the world’s first fully integrated multimedia newsrooms with print, internet, and a 24-hour cable news channel all operating from a central news desk. The paper earned three Pulitzer Prizes under his leadership. At age 55, Haile chose to step away from daily leadership of a newspaper to devote what he called “a second half” to public service. 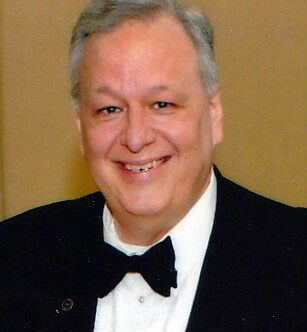 He has served on a number of health care, environmental and arts boards. He lives in the Denver area, where he also “works at” his pastel and oil painting. Shannon, BA’68, was born in Gainesville, Georgia, and worked for her hometown newspaper during high school. She enrolled at Vanderbilt in 1964, when issues like the Vietnam War, civil rights, drugs and poverty were beginning to generate intense debate on college campuses. “Vanderbilt had a great deal of academic freedom, one of the reasons I chose this university,” Shannon said. 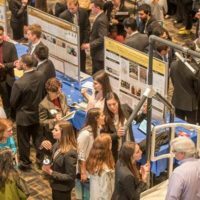 She was a student during the first years of the Impact Symposium, a speakers series designed to bring more intellectually stimulating programming to campus. “I was proud of then-Chancellor Alexander Heard for standing firm on the principle of ‘open forum’ when many of those connected to Vanderbilt and in the community opposed letting Stokely Carmichael speak in 1967,” she said. Shannon wrote about civil rights, police violence, and abuses in the prison system. In 1970 she became The Tennessean‘s Washington, D.C., correspondent, where she covered Watergate, presidential campaigns, and Tennessee political leaders who included Howard Baker and Albert Gore Sr.
Four years later Shannon won a Nieman Fellowship to Harvard University. 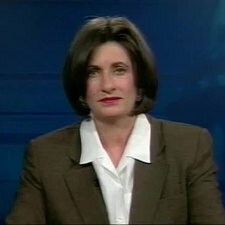 She then worked at Newsday, Newsweek and Time magazine, where she focused on national security and criminal justice issues like international arms trafficking, drug trafficking and money laundering, organized crime, terrorism and espionage. Three of Shannon’s books have been published, including Desperadoes: Latin Drug Lords, U.S. Lawmen, and the War America Can’t Win. Desperadoes, a New York Times best-seller, served as the basis for the Emmy-winning miniseries Drug Wars: The Camarena Story, broadcast on NBC in 1990. A second Emmy-nominated miniseries based on the book ran in 1992. Shannon lives in Washington, D.C., where she is a contributing editor for Cipher Brief, an online news organization devoted to national security issues. 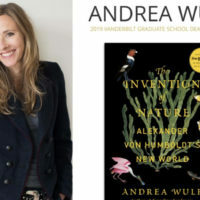 In addition, she is working on a new book about the first transnational organized crime leader of the Innovation Age. Privett, BA70, grew up in Birmingham, Alabama, and worked for her high school newspaper and the Birmingham News the summer before college. She enrolled at Vanderbilt in 1966 and signed up to work for The Hustler, then located on the third floor of Alumni Hall. “The late ’60s was an incredible time to be a college journalist, with the growth of the civil rights movement, increasing opposition to the Vietnam War, and the women’s movement still in its early stages,” Privett said. Privett said the most fun she probably had at The Hustler was the fall of her junior year, when Chuck Offenburger, a 2014 inductee into the Student Media Hall of Fame, was editor-in-chief. “I was the managing editor, and my job was to be the organizing influence to make our deadlines,” she said. Privett also worked as the paper’s copy editor before graduating in 1970. After graduation Privett went to New York University Law School, where she earned her J.D. She passed the Alabama bar and became a civil rights attorney. After practicing with firms in Mobile and Birmingham, she joined the office of the U.S. Attorney for the Northern District of Alabama. She lobbied for the Equal Rights Amendment and joined the Alabama Women’s Political Caucus. She also became a member of the Junior League of Birmingham, where she co-chaired a project to raise awareness of domestic violence. In 1995 she was appointed the first female U.S. attorney in Alabama. Two years later she went into private practice, focusing on alternative dispute resolution. 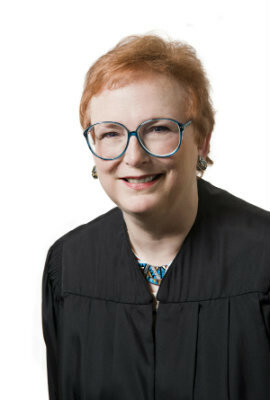 In 2003 she became a circuit judge for the 10th Judicial Circuit of Alabama. She presided over civil cases concerning issues ranging from asbestos and bingo to a sales tax that paid for $1 billion in new school construction. Privett retired from the bench in 2015. She continues to live in Birmingham, devoting more time to hobbies that include reading, needlepoint, photography and travel, including occasional trips to watch Vanderbilt baseball. Potter, BA’72, is a third-generation newspaper journalist. His grandfather was in the newspaper business in Southside, Virginia. His father operated the Star-Exponent in Culpeper, Virginia, where Potter grew up. At about age 10, he began stacking papers off the press and delivering papers. Potter continued at his family’s paper, spending several summers as a reporter and copy editor in high school and college. 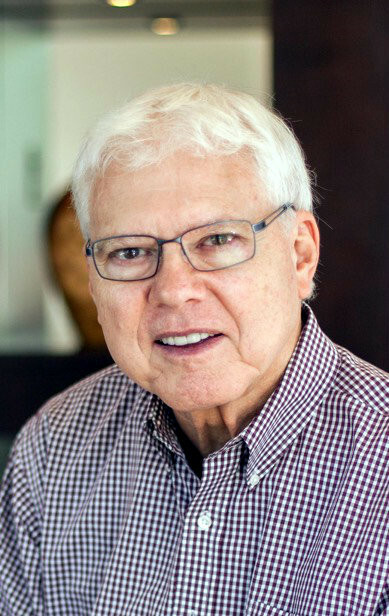 Potter started at Washington and Lee University in 1968, but transferred to Vanderbilt his junior year. He signed up as a general assignment reporter for The Hustler. The managing editor was Clay Harris, a 2012 Student Media Hall of Fame inductee. “Clay asked me the next spring to become sports editor, and I was editing the copy of future Hall of Fame inductees Skip Bayless and Terry Eastland,” Potter said. Potter majored in history and minored in philosophy. One of his favorite professors was John Compton, who taught History of Philosophy. Potter enjoyed Compton’s teaching so much that after earning course credit, he audited the class. Potter earned a bachelor of arts in 1972 and continued in journalism at the Star-Exponent and the Virginian Pilot. He also went to journalism school at the University of Missouri, earning his master’s in 1981. Potter then became a reporter at the Nashville Banner, where he remembers covering one of city’s biggest business stories—the sale of NLT Corp., which owned the Grand Ole Opry and WSM Radio—to American General Insurance. “Nashville was definitely one of the newsiest cities in which I’ve ever worked,” he said. He also was a reporter and editor at the Kansas City Times before taking over the Independent-Messenger, a paper his grandfather had helped found in Emporia, Virginia. Potter’s father had owned a small chain of newspapers, including two dailies at one point. After he died, Potter wished to devote his time and resources to helping community newspapers remain sustainable during an increasingly challenging financial environment. With the help of the University of Missouri School of Journalism, Potter created the Walter B. Potter Fund for Innovation in Local Journalism. “The Potter Fund sponsors a yearly conference that brings in a variety of experts to help community newspapers not only survive, but also thrive in the digital age,” he said. 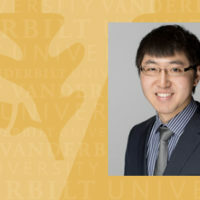 Parang, BS’03, grew up in Knoxville, Tennessee, where his father is a professor and administrator at the University of Tennessee. “In considering colleges I was glad to stay a little closer to home at a Southeastern Conference school that excels in academics and campus life,” he said. An early influence on his career was the opportunity to do improvisational comedy in high school. “I thrived on the spontaneity and excitement of the performances,” Parang said. Arriving at Vanderbilt in 1999, he joined “Tongue ‘N Cheek,” the university’s then-fledgling improv organization, where he made some of his best friends. Parang also wrote for The Hustler and Orbis, the latter of which began in 2001 as a biweekly publication for liberal and progressive views. The writers strove to foster an environment more open to the university’s increasing diversity. Parang wrote mostly opinion and humorous pieces. He earned a bachelor of arts in 2003, with a double major in political science and sociology. Parang had begun shifting his focus from improv and comedy writing to what he thought would be more marketable—a law degree. Parang enrolled at Georgetown University Law Center but also became a house player at the Washington Improv Theatre. While Parang earned his law degree and began practicing at a New York City firm, he soon realized he would be happier and, ultimately, more successful as a writer and comedian. He left the law in 2010, and within a year he was a writer for The Daily Show with Jon Stewart. In 2015 he was promoted to head writer for The Daily Show with Trevor Noah. 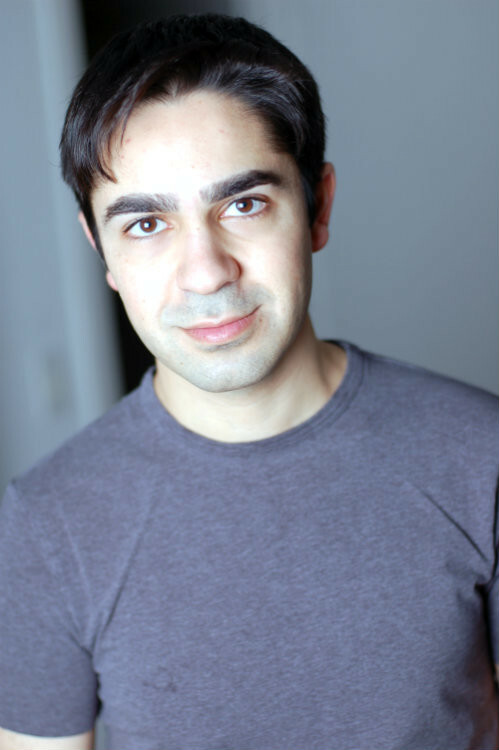 Parang is among the Daily Show writers whose work has been recognized twice with an Emmy for Outstanding Writing for a Variety Series. His writing has been featured in McSweeney’s, The Onion and The Morning News. Parang noted that during the Trump presidency, the show’s scripts tend to go through more rewrites up until the start of each show than has been the case previoulsy. “Constant breaking news is the wonderful blessing and the terrible curse of President Trump,” he said. Parang emphasized that the writers’ job is to make jokes about topical events. “The Daily Show is news satire—not real news—so we don’t expect or want viewers to use our show as a news source,” he said. He recommends improv for those who want to hone their skills of learning to write creatively under a tight deadline. “If you are interested in becoming a comedian, try to put yourself up on stage for live performances. And follow your passion—as much as possible—for whatever path you choose,” Parang said. For more information about the Student Media Hall of Fame, email Paige Clancy.